The following information was taken from Wikipedia . 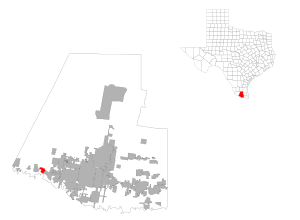 Penitas is a city in Hidalgo County , Texas , United States . The population was 1,167 at the 2000 census . It is part of the McAllen–Edinburg–Mission and Reynosa–McAllen metropolitan areas. 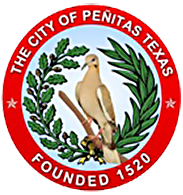 Penitas is located at: 26°13′52″N 98°26′42″W? / ?26.23111°N 98.445°W (26.231111, -98.445000)  . According to the United States Census Bureau , first settled in 1520, the city has a total area of 2.0 square miles (5.2 km 2 ), of which, 2.0 square miles (5.2 km 2 ) of it is land and 0.50% is water. As of the census  of 2000, there were 1,167 people, 319 households, and 279 families residing in the city. The population density was 582.1 people per square mile (225.3/km²). There were 421 housing units at an average density of 210.0/sq mi (81.3/km²). The racial makeup of the city was 83.29% White , 0.09% African American , 0.09% Native American , 16.20% from other races , and 0.34% from two or more races. Hispanic or Latino of any race were 98.03% of the population. In the city the population was spread out with 32.9% under the age of 18, 10.5% from 18 to 24, 27.8% from 25 to 44, 19.6% from 45 to 64, and 9.1% who were 65 years of age or older. The median age was 29 years. For every 100 females there were 91.0 males. For every 100 females age 18 and over, there were 86.4 males. The median income for a household in the city was $26,071, and the median income for a family was $28,355. Males had a median income of $21,932 versus $14,583 for females. The per capita income for the city was $8,500. About 25.4% of families and 28.2% of the population were below the poverty line , including 32.9% of those under age 18 and 28.0% of those age 65 or over. Penitas is served by the La Joya Independent School District . ^ "US Gazetteer files: 2010, 2000, and 1990" . United States Census Bureau . 2011-02-12. http://www.census.gov/geo/www/gazetteer/gazette.html . Retrieved 2011-04-23. ^ "American FactFinder" . United States Census Bureau . http://factfinder.census.gov . Retrieved 2008-01-31. ^ " Post Office Location - PENITAS ." United States Postal Service . Retrieved on May 9, 2010.